Redwood City is going to be sizzling during its 7th annual Salsa Festival on September 27th. Multiple stages featuring a variety of Latin Music, including Salsa and Jazz, will fire up Redwood City with music and dancing all day long. Plus, this year we’ve expanded our cultural offering with an additional Reggae Stage. Amateur and professional Salsa Chefs will compete for fun, prizes and Salsa Glory, at the mouth watering and exciting Salsa Tasting & Competition, where the public takes part in the judging. Public tasting is from 12-5pm, but come early to be sure to sample the most popular! Along with tasty salsa, local restaurants will also offer their delicious fares throughout the day. The festival features public Tequila Tasting, FREE hands-on art projects, a Children's Play Area complete with bounce houses, and much more. 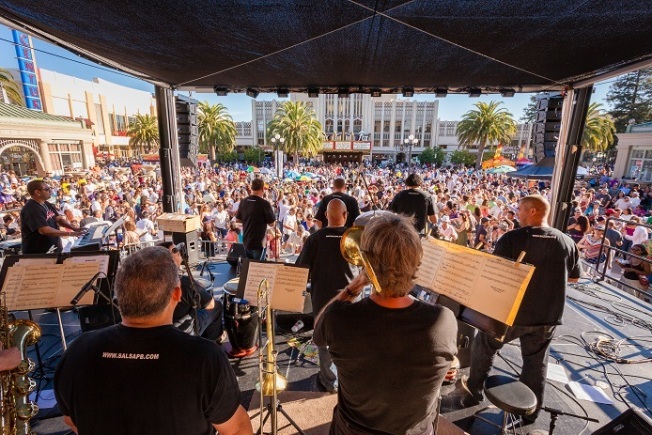 Redwood City's Salsa Festival guarantees a fun-filled day of tongue-tingling salsa, great activities, music, entertainment, dancing, food, beverages, and a wonderful time for the entire family from noon until 8 pm.